Police have been praised for seizing illegal drugs and a substantial sum of cash during an anti-drugs operation in Pomeroy. According to PSNI Cookstown, “significant quantities of drugs including Cocaine, Cannabis Resin, Herbal Cannabis and Methamphetamine” were seized when officers carried out searches in the area last week. A 34-year-old man was arrested on suspicion of a number of drugs-related related offences. He has since been released on bail. Welcoming the drugs seizure, local UUP Councillor Trevor Wilson said: “Drugs are a scourge on our society and the police are to be congratulated on making this find and getting these drugs off the streets. His party colleague, Councillor Mark Glasgow commented: “It is great news that the police have managed to seize these drugs and get them off our streets. 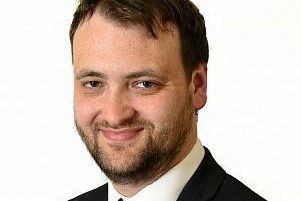 DUP Councillor Wilbert Buchanan added: “Drugs are a scourge on our society and they poison our young people. Stressing that officers will continue to crack down on those supplying illegal drugs, a spokesperson for PSNI Cookstown said: “We’ll keep putting doors up the halls, seizing the stuff and putting dealers before the courts as long as individuals keep bringing it in to Mid Ulster. Police can be contacted on the non-emergency number 101, or information can be passed on anonymously via Crimestoppers on 0800 555111.